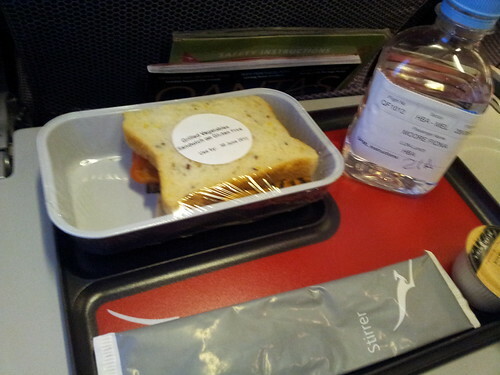 Time to show off the GFML (Gluten Intollerence) meals offered in economy on Qantas domestic. 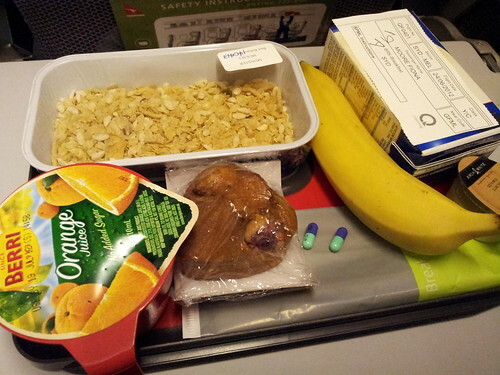 Breakfast #2. With Uncle Toby’s branded gluten free cornflakes. Row to oneself at 6am on a Sunday. Ash tray in the loo shows the age of the plane, as Smoking aboard Australian domestic aircraft was banned on 1 December 1987! 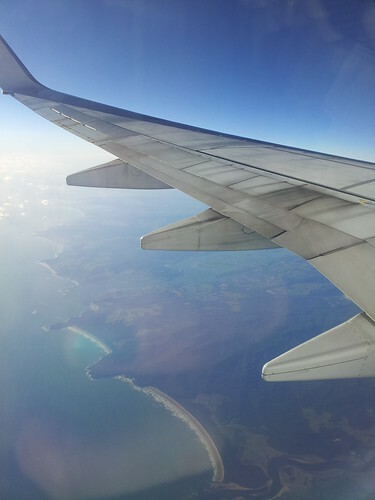 My first glimpse of Tasmania. 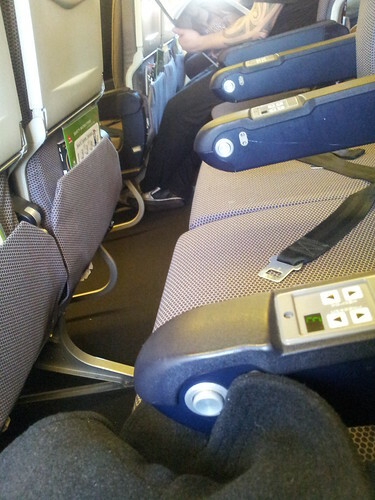 I only get window seats. 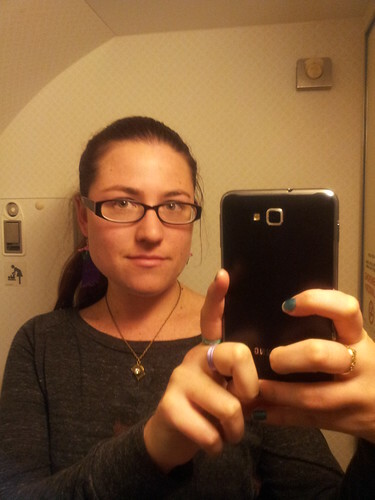 On the left side of the plane. A roast vege sandwich. 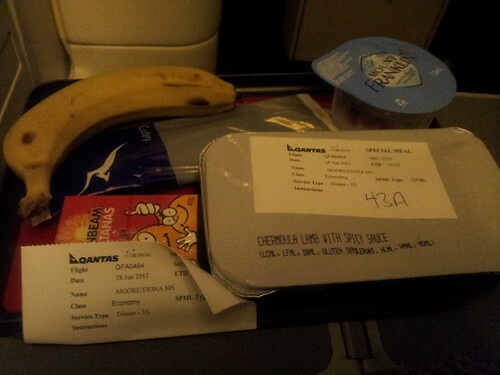 No banana for me, though the normal meals had bananas. 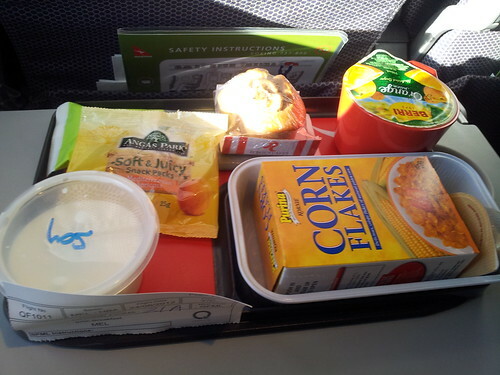 I don’t dispute that some of the Qantas fleet are ancient, but ashtrays aren’t necessarily a symbol of that. 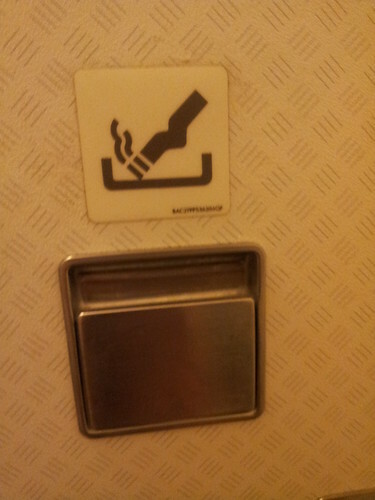 Even the A380 ships with ashtrays in the loo. The reason? Any commercial plane operating to North America (or possibly other places, not sure) HAS to have them or it’s not considered airworthy. Why? Because people smoke in the toilets no matter what, even when it’s banned. If you have ashtrays, they put their butts in the ashtrays. If you don’t, they do dumb things like stubbing them out and dropping them in the bin. And then you have a fire. And fires started in plane toilets can kill a planeful of people. 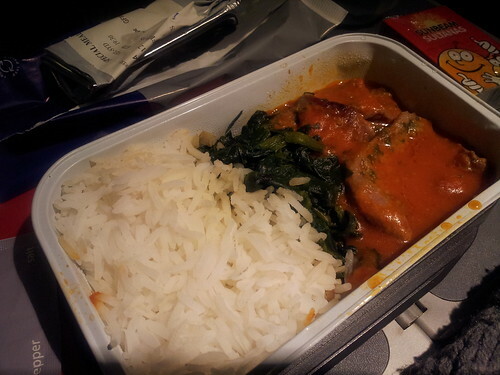 A cigarette in the toilet bin was what caused http://en.wikipedia.org/wiki/Varig_Flight_820 – which killed 123 people. Heh. That’s kinda dumb. But then, people are dumb. So, 1990 was when smoking on flights in AUstralian airspace was banned http://www.cancerwa.asn.au/resources/2011-11-25-History-tobacco-control-in-WA-timeline.pdf Wow and it wasn’t til 1996 that all Qanta and Ansett international flights were smoke free. Agreed! It’s bad enough breathing the awful stale recirculated air on planes now; I can only imagine how bad it was back in the days when it had cigarette smoke in the mix too.